Nothing is more irritating than unwanted calls and sms. As almost everyone loves to call and text their beloved ones but at the same time there are some restricted places where we cannot attend call or can’t reply to sms like college, in classroom, in important meeting with boss, mosque and etc. Moreover, most of us want to avoid calls and smsfrom unknown or wrong numbers. Play store has blessed with number of apps to block sms and unwanted calls. There are tons of apps that usually make people confused which app to select and which to avoid. Your problem is solved now because in this article we are going to tell you about 3 best sms and call blocker apps for android. They can be downloaded for free from play store and are easy to use. Have a look. Call blocker is one of the best apps to avoid unwanted call. How relax you will feel when you have an option to block any call you want to avoid. It will give you release from unwanted stress and tension. Call blocker is trusted app and you can use it easily and freely without any privacy issues. Do not worry your personal information is safe while using call blocker. This app is available on play store and can be downloaded for free. Download it now and get rid of unwanted calls. Another best free call blocker app for android. 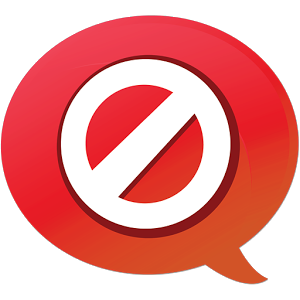 Call and sms blocker is one of the best App to block unwanted calls and sms. It has facility to avoid both. You can block unwanted calls and sms and can have mind peace. It will enable you to block private numbers from different brands and private companies. 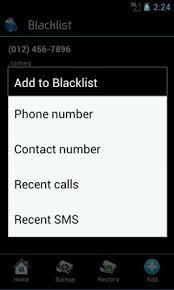 It has black list option which enables you to put any unwanted number into list and you can check this list whenever you want. Thus, you can simply block calls and unwanted sms. Call and sms easy blocker is available on play store and can be downloaded for free. 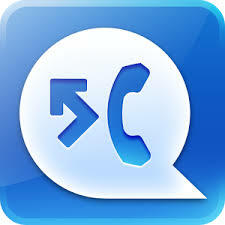 Download it now andstop unwanted calls and sms. Sms filter is an app that can give you relief from unwanted sms from wrong numbers. Once you are tired of spam sms just put this number in sms blocker and now you do not have to face irritating texts any more. This app has black list and for your comfort you can check your blocked sms any time you want. Because of this feature you can never miss any important message coming from your family and friends. Moreover, you have option to block any number from call logs, message logs and contacts. Sms filter is one of the best sms blocker apps and is trusted by millions of people across the world. Sms filter – the best app to avoid unwanted sms is available on play store and it can be downloaded for free. Download it now for mind peace.